Wooden floors are exceptionally attractive. They give a distinctive character to a house. If you fancy wooden floors and have a pet dog, however, you might want to reconsider your decision—or you ought to choose the best hardwood floors for dogs. 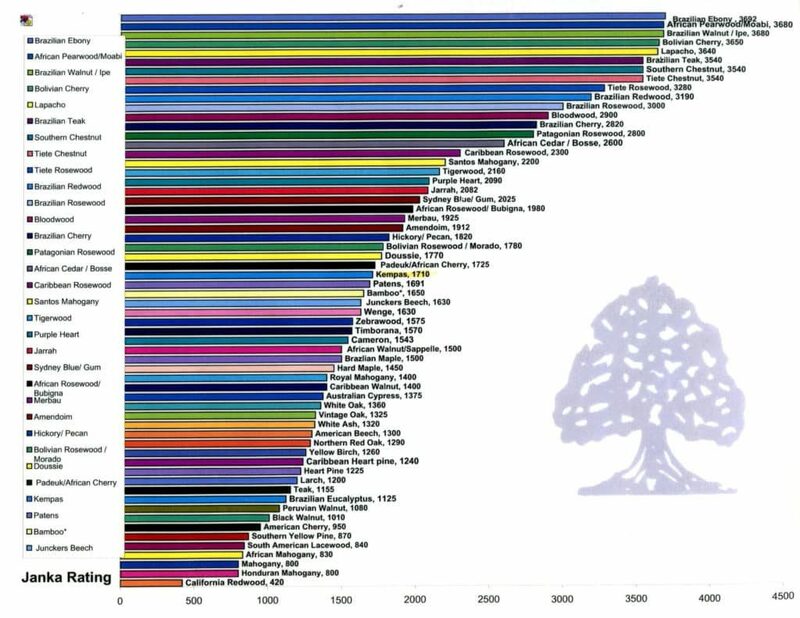 If you are reading this article, chances are you live in one of the 40% households in the US with a dog. Nowadays, dogs are highly domesticated that they are treated as members of a household or family. Unlike cats, dogs are relatively active. They like to run around especially when young. 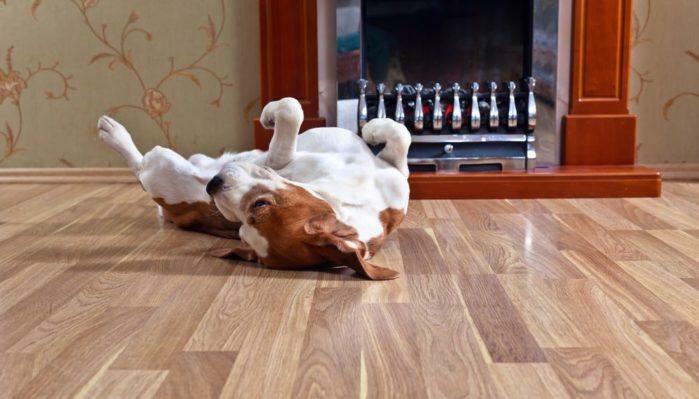 Their weight, paws, and level of activity are a perfect to ruin your wooden floor—unless they are hard enough to resist being scratched. Before you proceed with the list, you need to realize one thing: although a hardwood might resist dents from dog’s paws, the wood sealer might still get minor scratches that will become noticeable over time. Most pet owners trip the paws of their dogs. Paws aide the natural movement of the dog. Without it, the dog’s movement is limited. It might also cause comfort depending on the dog and the degree of trimming done on its paws. While trimming the paws of the dog might lessen the scratches, broad-tipped and blunt nails can still damage the sealer. It can cause dents that will eventually become obvious. 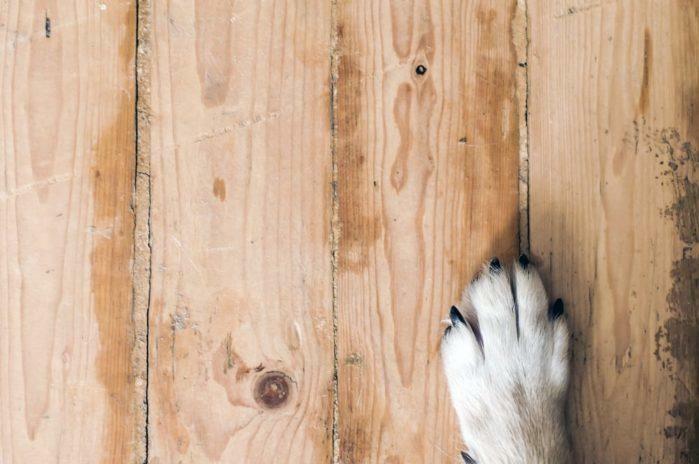 If you want a durable and long-lasting floor and have a dog, consider using alternatives. Stone, concrete, tile, laminate and vinyl and durable enough to resist damage from the paws of your dog. If you like the look of a polished and stained wood, you can choose from a number of designs that closely resemble it. To select the best wood for your floor, you need to consider its hardness. The Janka Hardness Test measures the force necessary to drive a steel ball measuring 11.28mm into the wood to about half its diameter. The Janka Hardness Scale is used to determine whether the wood is suitable for flooring. To decide the best wood, we’ll use this scale and select the top five hardest kinds of wood. Brazilian Walnut is among the perfect woods for floor not just because of its hardness but also because its color ranges from olive brown to near black. In addition, the durability of this wood will withstand damage from your dog’s paws. Furthermore, Brazilian Walnut can resist rot, mildew or inset and can be used in contact with the ground without additional treatments. A few years ago, this wood was expensive not only because of its excellent qualities but because of its an exotic wood. Nowadays, however, the Brazilian Walnut has become affordable making it one of the best wood for floors. Brazilian Ebony is among the most durable woods. It has a Janka Rating of 3692 and is closely ahead of Brazilian Walnut at 3680 in the Janka Hardness Scale. This wood is so hard you might have problems installing it because you need to adjust the nails and the nail gun. This is among the perfect woods for your dogs. With proper treatment or coating, this will become completely scratch-proof. The natural color of the wood ranges from a purplish dark maroon to black brown. The light streaks give appeal to the wood. It would be a great idea not to stain this wood. Often, starches from the paws of the dog will become noticeable not because of the damage on the surface of the wood but on the coating or stain. Brazilian Walnut and Brazilian Ebony are durable, but they are relatively dark. If you want a hardwood with a light shade, the African Pearwood is your perfect choice. Its shades range from light yellow to reddish brown. 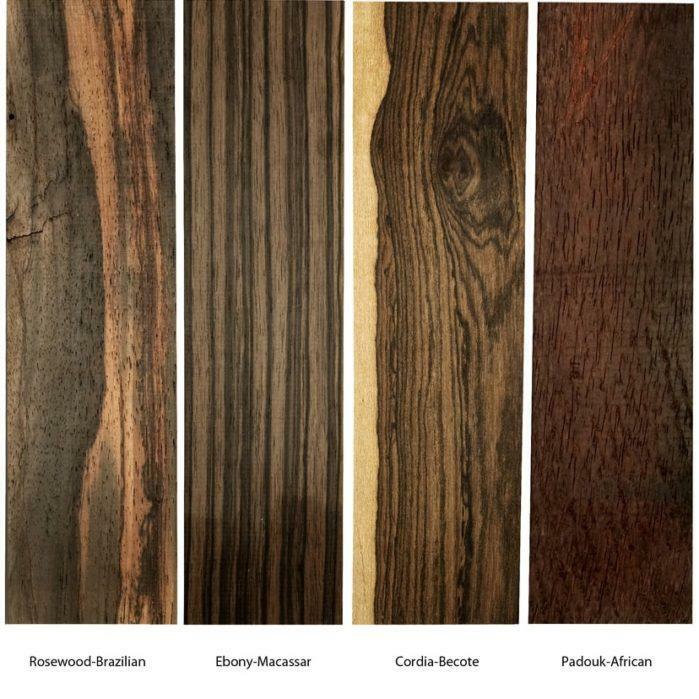 The African Pearwood is as hard as the Brazilian Walnut at 3680 in the Janka Hardness Scale. Similar to the first two kinds of wood in this article, the African Pearwood is so durable that you’ll have trouble driving a nail through it. Its durability can withstand damage from the nail of your pet regardless of whether it’s active or heavy. Hard Maple is not as hard as Brazilian Ebony or Brazilian Walnut. In fact, it’s approximately half as durable as the two at 1,450 rating on the Janka Hardness Scale. 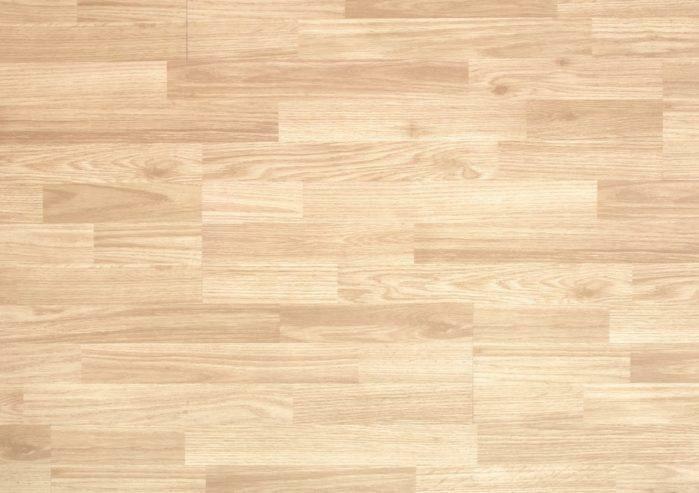 The Hard Maple has long been used in basketball courts both for its durability and its appeal. If you want a beautiful wood with smooth grain for your floor, this is one of the best choices. However, you need to consider the type of activity of your dog. If your dog is unusually active or is large, this wood can gouge. This wood may be one of the most affordable, but it certainly is not among the most durable. This wood is only ideal if you have a relatively well-behaved dog that ranges from small to medium size. 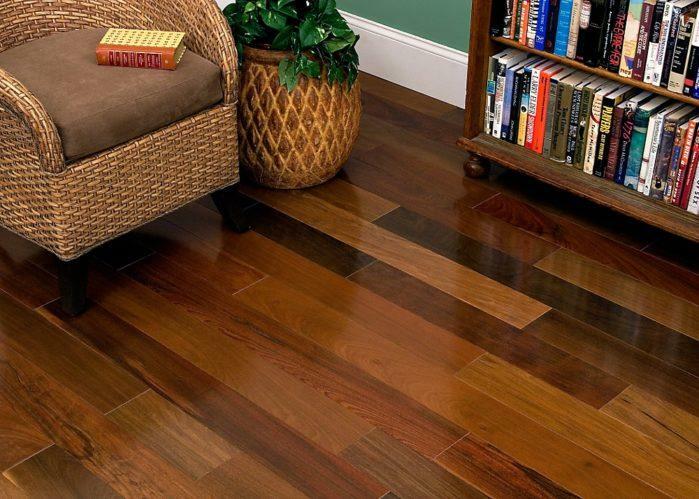 With a rating of 3650 on the Janka Scale, the Bolivian Cherry is among the best choices for flooring. It’s an exotic wood so expect that it's expensive. What makes this wood stand out is its fine grain. Thus, expect that it can withstand damage from the nails of your dog. The shade of this wood ranges from reddish-brown to deep and dark brown. 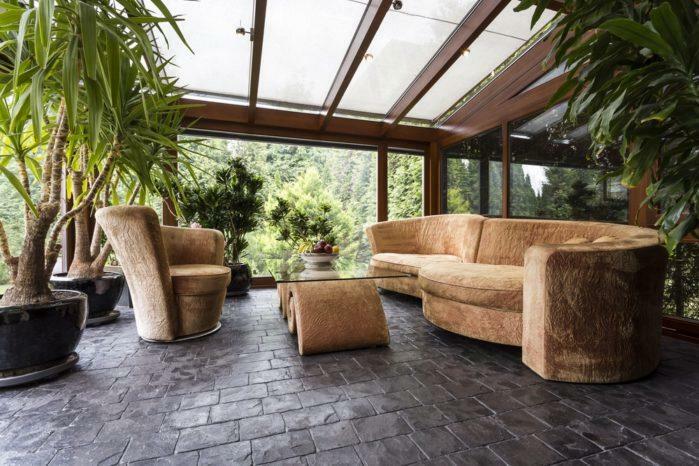 The perfect woods for flooring when you have a However, prepare for their price because they usually are expensive. However, not because they’re durable, they are completely resistant to damage. If you’re particularly meticulous, you’ll find that however hard a wood is, it won’t be hard enough to resist scratches. At some point, you’ll see unnoticeable minor scratches. To be sure, employ other methods to protect your wood from scratches. For instance, install a carpet in areas that your dog frequent. Carpets can easily be changed if damaged compared to the floor. Did you like our suggestions? Do you have less expensive options or ideas? Let us know in the comment section below. Why Is My House So Dusty ?